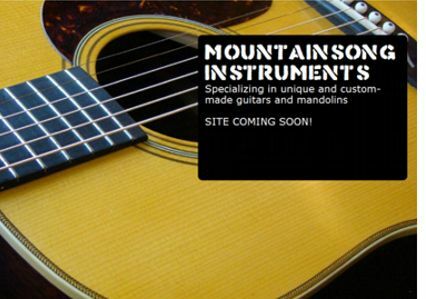 Blue Ridge Mountains, VA -- Bill Lunstrum and Larry Cochran announced the launch of Mountainsong Instruments. Nestled around the Blue Ridge Mountains in Virginia, the Company draws from the unique talents and perspectives of master woodworkers and luthiers Bill Lunstrum and Larry Cochran, focusing on unique and custom handcrafted guitars and mandolins. Both love bluegrass music known for quality acoustic instruments.